Nobody ever moved to the Midwest for our weather. After an unusually cold winter, it’s hard to imagine ever complaining about heat. Come late July to mid-August, and this past winter won’t look so bad. Each September in Saint Louis temperatures begin to gently drop like painted maple leaves riding down the spiral staircase of gravity to a thickening shag carpet of fall color. The summer’s August swelter tilts the household’s attention toward the demands of the air conditioner. No sacrifice is too great to assist the little Freon-fueled Engine pumping chilled air through duct work. In the process of providing support and encouragement to our August cooling system, the forlorn voice of our summertime oven is usually ignored. Not even seductive invitations to create blackberry or apricot pie can persuade me to feed the hungry, cooled chamber of our lonely, unemployed oven. With the drop in temperatures that comes with September, comes a shift in the balance of power between the appliances of our house. Just when the termperatures cool, I usually make a weekend trip to the local fruit and vegetable stand. I peruse the contents of the discount box where tired old Granny Smith Apples sit blemished and abandoned. In memory of my poor, sulking, cobwebbed oven, I normally buy enough for a pie and homemade apple sauce. Soon the bubbling smell of apples, sugar, and cinnamon puff through slits of pastry and infuse our house with the aromas of autumn in America. While the apple pie rests, I kick the oven up to 500 degrees and slide two handmade loaves of risen dough into the cavern. The intertwined aromas of bread and pie dance and harmonize throughout the rooms and hallways of our house. Garden-fresh red and yellow tomatoes get sliced and dusted with salt and pepper. Knowing our love for food, from time-to-time a friend will treat us with a gift certificate to an upscale restaurant. On such occassions, we feel compelled to leave the solid shores of gastronomic familiarity and launch a culinary adventure. “Pine nut encrusted trout?” “Why not?” “Butterscotch Budino with Crème Fraiche?” “Don’t know what it is, but we’ve got a gift certificate! We’ll take two!” We love to go out to eat. The combination of exotic flavors, the change in scenery, and (most important of all) the disappearing dishes make it a rare, but favorite activity. It must have been my taste for something exotic that led to my initial reaction to this Sunday’s Gospel selection (Luke 15: 1-32). Like a child in front of a plate full of vegetables, I found myself thinking, “The Prodigal Son Story? Not this same old thing again! Didn’t we just have this reading?” And then I pulled my chair up to it and discovered that this reading and a piece of September apple pie have a lot in common. The characteristics found in this Sunday’s Gospel have a way of tethering us to what matters. The elements of this story are as familiar to a Christian as a piece of apple pie in the fall. In this selection, we return again, like the son in this reading to where our bread is buttered. The realities described in this passage represent signature characteristics of a spiritually committed soul. The need for frequently practiced non-defensive humility, like the son in this story, is as essential to the spiritual life as cinnamon is for an apple pie. The spiritual wayfarer recognizes the unconditional, steadfast, crazy love of the father in this story as the source and summit of all that we are and hope to be. With a knowing smile, we also recognize a kinship with the envious older son. He is the mirror image of the self-important, possessive ego within each of us. He is the ever-present part of the self that we have to acknowledge, but keep out of the driver’s seat of our soul. 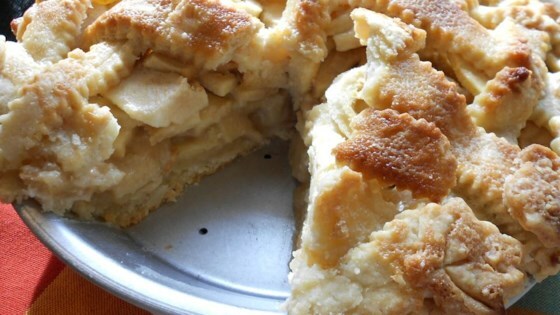 It seems to me that no five-star restaurant has ever created anything more delicious and satisfying than a good honest piece of homemade apple pie. No Iron Chef could successfully compete with the deep satisfaction of a crusty piece of homemade bread and butter. In her whole life, Julia Childs never created anything so succulent as a tomato plucked fresh from a Midwestern garden. It seems to me that the repetitious “Prodigal Son” Gospel reminds us this week that this may be a good time to return home to those familiar essentials that really satisfy the soul.